Almost half of motorists admit that they become “hot crossed bunnies” behind the wheel, behaving differently towards other people then when not driving, according to new poll results published by the Royal Automobile Club Foundation this Easter. The survey* has lifted the (foil) lid on some of the worst driving habits committed by stressed motorists in the UK – revealing one driver was incensed enough to throw a Chinese takeaway at another! With Easter holiday travel approaching, the RAC Foundation is urging drivers to ensure that road rage doesn’t pose a potential safety risk or ruin the journey, by leaving plenty of time for the journey, staying calm behind the wheel, and in particular, making the effort to “see ourselves as others see us”. The survey also found that good manners are still in the ascent – but only just: 73.5% of drivers say they will always thank other drivers, but 64% would ‘sometimes’ beep their horn if another driver annoyed them. Road users were united in agreeing that road manners are getting worse, though cyclists were the most pessimistic: 58% of car drivers and 61% of cyclists agreed that manners on the road have got worse over the last 5 years, but just 50% of motorcyclists surveyed felt the same way. Sheila Rainger, Acting Director of the RAC Foundation, said: “The frustrations caused by congestion, delays and hold-ups this Easter will drive many motorists “hopping mad” – but our survey shows that confrontation between road users remains reassuringly rare. Rude hand gestures, mouthed insults and rolling of eyes remain Britain’s favourite ways of letting off steam. 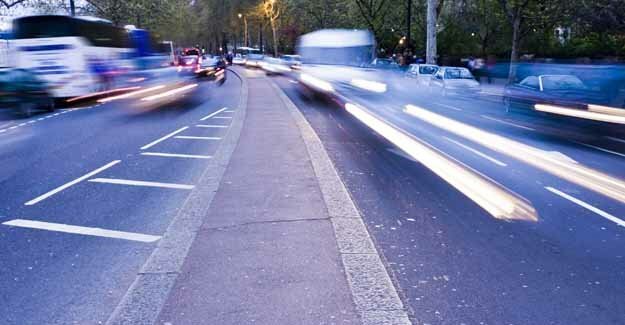 *Online survey of 371 motorists carried out by the RAC Foundation.